Our drag and drop roster builder makes getting started easy. Set your preferences by age, experience or wage cost, then let our auto-fill feature learn from rosters you’ve previously published for ongoing roster optimisation. 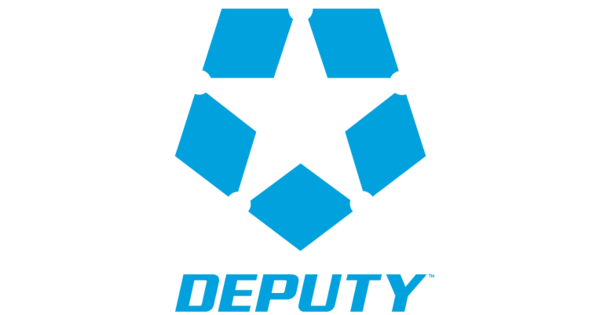 Create the best roster for your business with just one click. 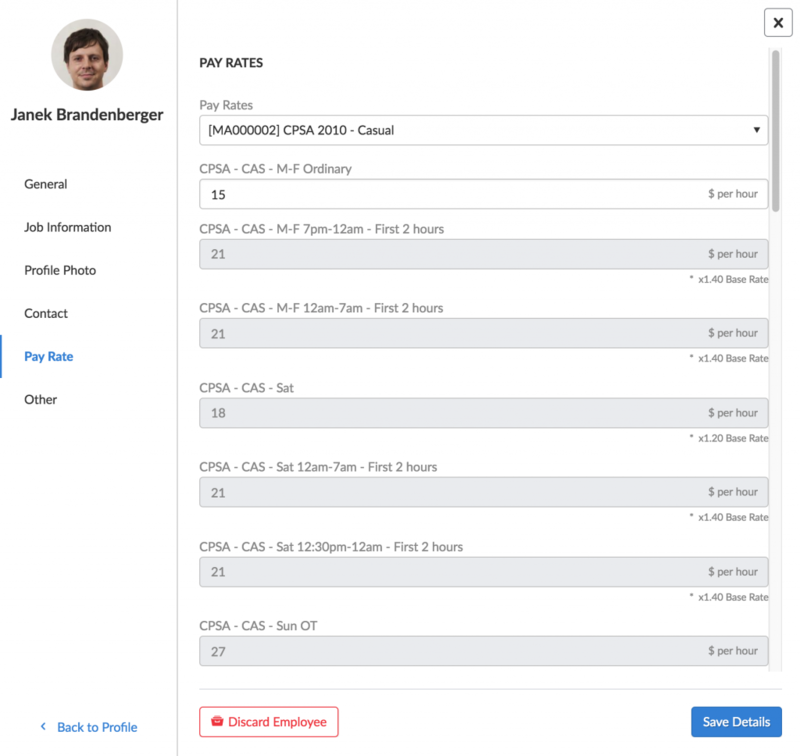 Our Auto-Scheduling feature builds your shift structure for you based on your data points, then watch as Auto-Fill finds the best employees for each shift. 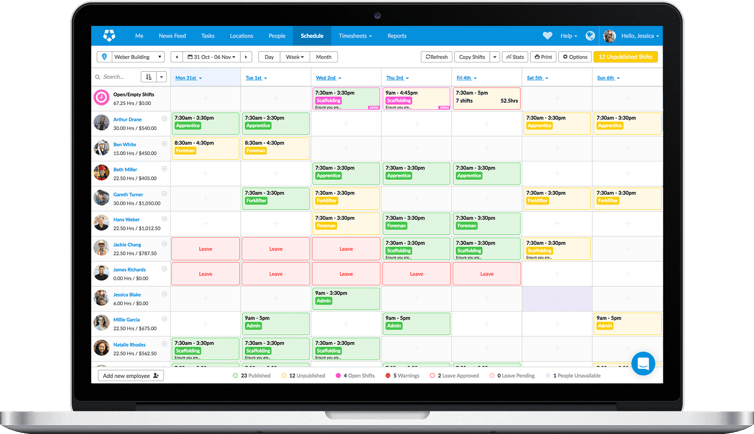 Say goodbye to messy paper timesheets! As your digital time clock, employees can clock in and out from their smartphones, while our geolocation capture will confirm that all your employees are exactly where they should be. There are some tasks that can’t afford to be missed. 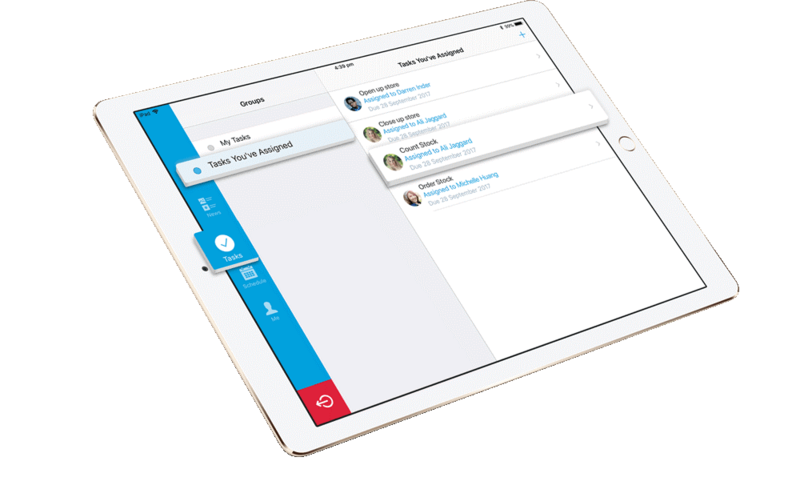 Give employees visibility of their daily jobs and responsibilities with Tasking. Whether assigned to individuals or the entire team, you can make sure all important tasks are taken care of. 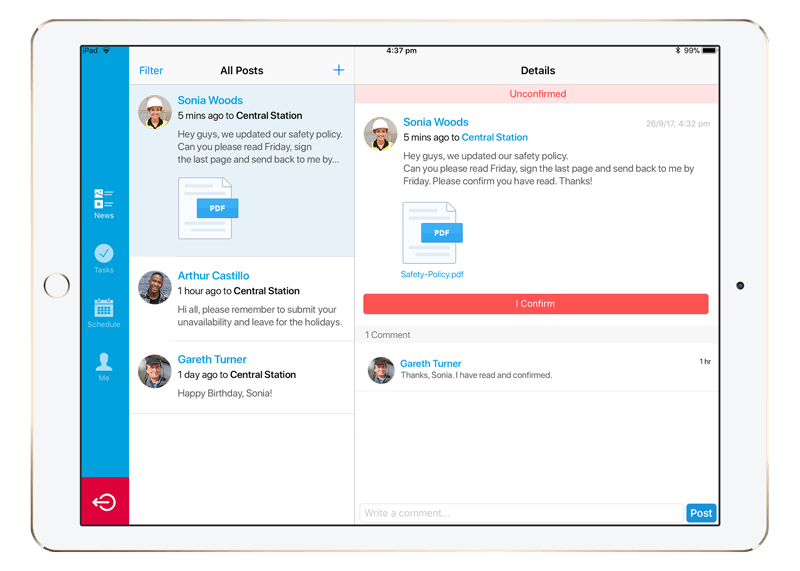 Keep everybody in the loop with Newsfeed. Share messages and provide key updates with the option to require confirmation once read. 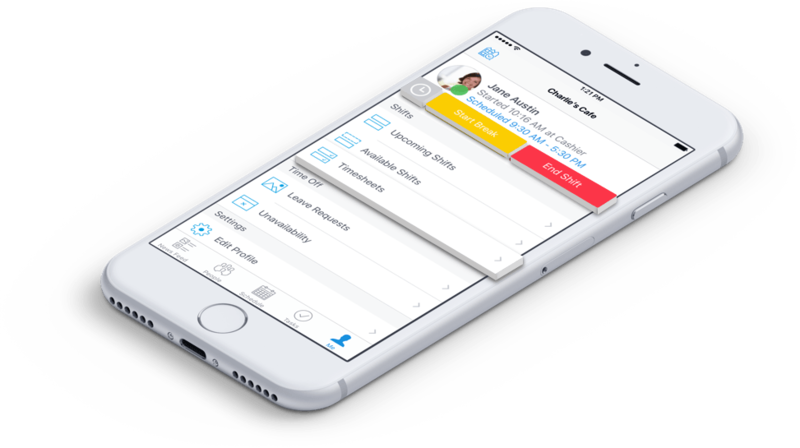 Our app lets you manage and communicate with your team across multiple areas of responsibility or location. Paying employees shouldn’t be a hassle. 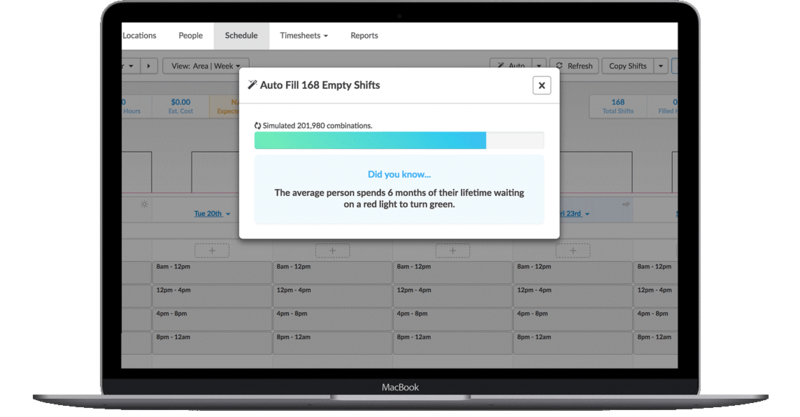 By syncing your payroll provider with your Deputy account, timesheets can be easily and quickly pushed through to payroll, ensuring employees are paid accurately and on time, every single time. Stay Fair Work compliant with industry awards. We’ve pre-built the most common awards into our product. We’ll calculate penalty rates, shift loading, allowances and overtime, giving you peace of mind when it comes to compliance.